DMV.com was created to help simplify your life by providing you with all the vehicle related information and Vermont DMV services you may need, in one place. Quickly find information and services regarding driving records, vehicle registration, drivers license renewal, license plate renewal, getting a learners permit, and finding a Vermont Department of Motor Vehicles approved traffic school. The Vermont DMV requires drivers license renewal for licensed state residents. Learn about VT DMV license renewal, replacement and more. Submit a VT driving record request online for a simple ordering experience. Ordering driving records online from the DMV is fast and easy. Compare auto insurance rates in Vermont, and find affordable auto insurance today. The DMV requires car insurance for Vermont drivers. Passing a VT traffic school course can benefit drivers with insurance discounts and more. Discover more about online traffic school in Vermont. Take an online VT DMV practice exam before registering for the license exam. A driver practice test will help you to pass the written test. 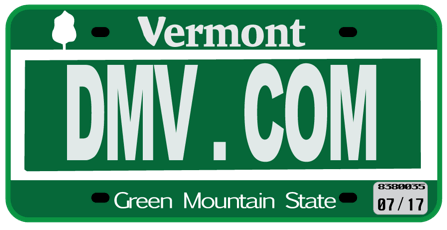 New car registration in VT is required when you buy a car or move to the state. Learn about VT car registration services offered by the DMV. Vermont drivers education is required by the DMV for learner’s permit applicants. Learn more about drivers education guidelines in VT. Learn how to get a bill of sale in Vermont from the DMV today. A VT car bill of sale officially records a vehicle’s transfer in ownership. Unpaid traffic tickets in Vermont can lead to license suspension and reinstatement fees. Discover how to pay a speeding ticket easily today. DUI consequences in Vermont include license suspensions and fines. Learn more about VT DUI laws and how they affect DMV driving privileges. Buy a used car or new car in Vermont the easy way today. Buying a car online can help expedite your DMV new car registration process. Find nearby DMV locations and hours in Vermont quickly and conveniently. Some DMV services in VT may require you to make an appointment. Getting tired of waiting in line at the DMV office? We’re here to help you. DMV.com is a privately owned website that gives you all necessary information you need about the Vermont Division of Motor Vehicles. Our goal is to provide you with details about all requirements that the VT DMV has for your vehicle. Our list of articles will uncover all details you need about obtaining a driver’s license, choosing auto insurance and much more. Our website already has a great storage of data about each state’s DMV and we invite you to give your contribution to making the site even better – visit our Facebook page, give us your suggestions and be part of our successful story. Together, we can make the site more useful and up-to-date.